While there are still populations in the continental United States who question whether or not climate change is happening, individuals living in climatically sensitive regions, such as in the Arctic, are already experiencing the impacts. For them, there is no question that climate is changing. What are some changes seen in wildlife and ecosystems when sea ice melts at an unprecedented rate? As global warming increases and sea ice disappears what will happen to those species unable to adapt to the changing conditions? What are some ways in which temperature change might endanger these species? What is the human impact in Arctic communities from melting sea ice? 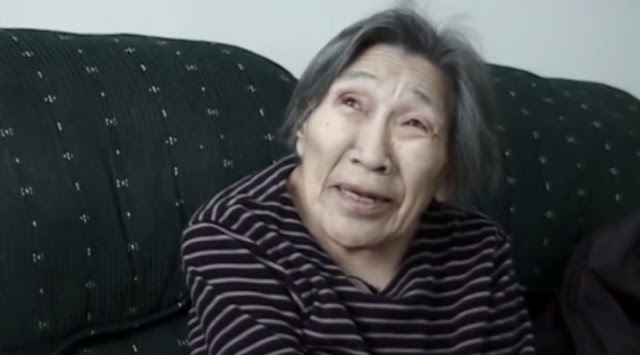 Listen to Inuit elders talk about changes that they are now seeing in their local environment by watching "Inuit Observations of Climate Change." How has daily life changed over one generation? Finally watch the video "An Unpredictable Environment" and note how uncertainty in climate conditions has impacted this Arctic community. What are some of the logistical and safety issues and concerns associated with a subsistence way of life during periods of rapid climate change? How can uncertainty in climate potentially impact communities in lower latitudes? Responses to "Inuit Observations of Climate Change: Arctic community Elders Talk About Unpredictable Environment"